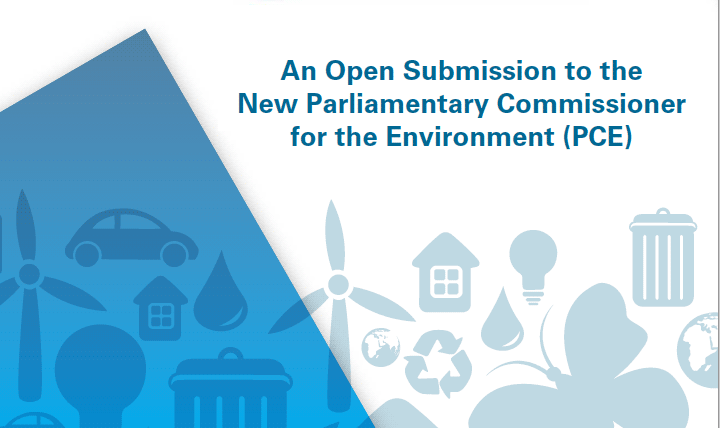 The following open submission to the Parliamentary Commissioner for the Environment (PCE) has been developed by the New Zealand Product Stewardship Council (NZPSC). This submission utilises the PCE’s 2006 ‘Changing Behaviour: Economic Instruments and the Management of Waste’ report, as a rubric for both, examining New Zealand’s poor performance around waste management and to highlight multiple ‘red flag’ issues in this sphere. This submission critically examines the phase of New Zealand waste policy encompassed in the successive Labour led (1999-2008) and then National led (2008-2017) periods of coalition government, which each encompassed three consecutive electoral cycles. This nearly two decade phase squarely encompasses the initial period of implementation of the Waste Minimisation Act (WMA:2008), which is the key framing and enabling legalisation for addressing waste issues in New Zealand. By virtue of its timing, the critical examination, commentary and recommendations of the 2006 PCE ‘Changing Behaviour: Economic Instruments and the Management of Waste’ report was directed at the then incumbent Labour led coalition government’s management of waste policy. By virtue of that prior coverage and the timing of this NZPSC submission, the primary period of focus is the past National led coalition government’s tenure over New Zealand waste policy (2008-2017). It can be observed that the succession of political power resulting from the 2008 electron result (notionally from ‘centre left to centre right’), corresponds with a marked change in the respective ‘New Zealand Waste Strategies’ (NZWS:2002 vs NZWS:2010). In particular then, it is this latter, largely unexamined political phase (2008 -2017), which offers up a range of compelling questions which this submission raises and redirects to the office of the PCE. Specifically this submission does not cover, or infer any finding or questions in respect the current Labour/Green/NZ First coalition (2017 – ongoing) government. Reflecting on the current government’s performance around waste issues, can only reasonably be undertaken at some point in the future, once their strategy, policy / programmes and outcomes have fully eventuated. Importantly, whilst, each of the sections of this submission are supported by strands of argument and evidence, each section is framed as an open question. This is because the NZPSC, as an environmental advocacy group made up of volunteers, does not have time or resources to fully examine the questions and issues which are raised. For this reason, the submission is, specifically directed to and calls on PCE, to once again take up the challenge of investigating and reporting on New Zealand’s waste policy and performance. Also, importantly this ‘open’ submission is intentionally an open public document. The hope is that New Zealanders will engage with the crucial subject of waste and the learnings from this past period of public policy failure, can be recycled into future success and environmental progress. This submission consists of two parts. The first part examines how well the past government has addressed key aspects and recommendations of the PCE’s, 2006 ‘Changing behaviour: Economic instruments and the management of waste’ report. The second part explores a broad range of issues, which the NZPSC believe culminate as a clear challenge to the PCE, the current government and all New Zealanders to take waste issues seriously and to understand and respond to the opportunities of implementing the range of market based economic, regulatory and social instruments and interventions, which are proven to offer solutions and progress. The NZPSC position is that, New Zealand’s waste management is not currently working well enough, nor transitioning us fast enough into the huge environmental, social, cultural and economic benefits on offer in a zero waste focussed, circular economy. Waste is a complex and entrenched globalised issue, resulting out of longstanding, but faulty and unsustainable socio-economic design and social conditioning. This model results in excessive and destructive natural resource extraction, a mostly lineal flow of material resources thought the economic system and excessive waste disposal, toxicity, pollution and energy use and GHG emissions. Today it can be recognised that is a growing sense of crisis, confusion and concern arising out of some of the grim scientific and media reporting around waste, for example, ocean plastics. However conversely, but less recognised, there is an emerging body practical, cost effective and successful measures evident within international good practice, which can address waste issues. The NZPSC’s aspiration in publishing this submission is that any resulting debate, research, reporting and change will point New Zealand firmly towards a more socially and culturally responsible, economically efficient and environmentally sustainable approach in addressing waste issues. See: https://www.nzpsc.nz/ The NZPSC is an independent NGO and advocacy group made up of like-minded ‘Kiwis’ (i.e. environmental researchers, local government and community recycling practitioners) who all volunteer time, to promote positive and effective solutions to New Zealand’s waste issues.